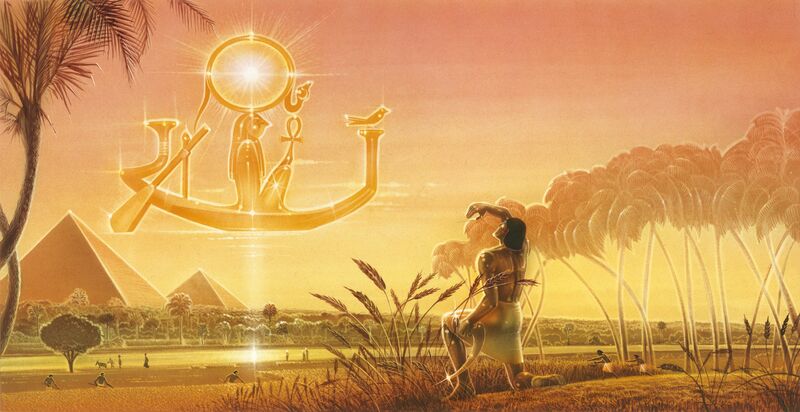 Illustration of ancient Egyptian sun god. Early civilizations recognized the importance of the sun. The chief deity in many ancient cultures was a sun god or goddess. Ancient Egyptians worshipped Ra, a falcon-headed god who carried the sun disk on his headdress. Every day, Ra would cross the sky in "solar boats." The sun is an ordinary star, one of about 100 billion in our galaxy, the Milky Way. This ordinary star makes possible all life in the known universe.